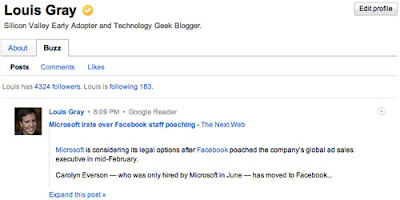 Nearly a year after former Blogger product manager Rick Klau took on the important, if not glamorous, role of heading Google Profiles, the product of his efforts debuted today, letting users make their profiles much more personal than before, with greater customization, improved layout and photo options, presenting an alternative to the Facebook profile or AOL's About.me, for the open Web. 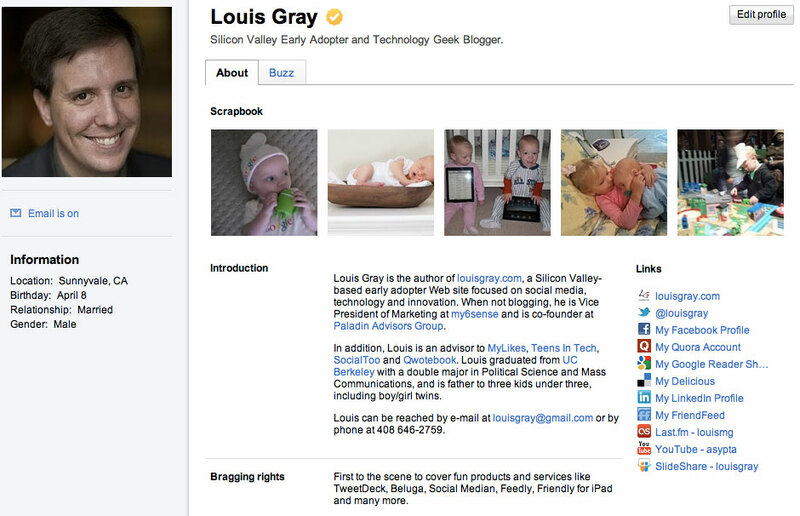 The new profiles put the users in control, are more fun, and keep Google Buzz front and center. Interestingly, as the new profiles debut (mine's here), Rick has simultaneously announced he is moving elsewhere within Google, to act as a new product manager at YouTube, where he's responsible for the video service's home page and social strategy. I know Rick well and consider him a friend, so I hope we see more launches out of YouTube with his fingerprints on it that just might take less than 11 months. 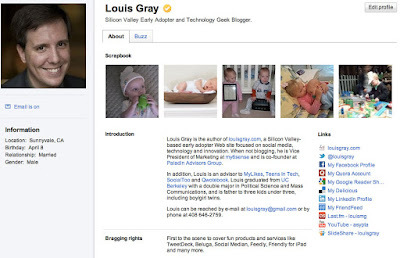 In April of last year, following Rick's move, I suggested ten ideas to redesign the profile and postulated the tie-in with Profiles and Buzz would help the company compete more directly with Facebook. That Buzz remains a center of the new Profiles shows the company may continue this hope, despite some skepticism from the greater tech Web, and as I count down those items I suggested versus what was delivered, it's clear there is still more work to do, which Rick hints at on his blog, where he says there's "a lot more to come in the weeks and months ahead." Having learned from the Buzz privacy flareups last Spring, sensitive data on the Profile is only shared at your behest, so you can share as much or as little about yourself online as you like. So go check out your new profile, upload some great pics, and take ownership of the way Google presents you.